one of the most powerful movies, ever! From the story of a one time middle weight champion of the world and his apparent necessity for internal conflict and self destruction, America's greatest director in the history of cinema has carved a masterpiece of a feature, teaming up with the greatest actor of his generation in order to establish what will no doubt go down in history as one of the most powerful films of all time. 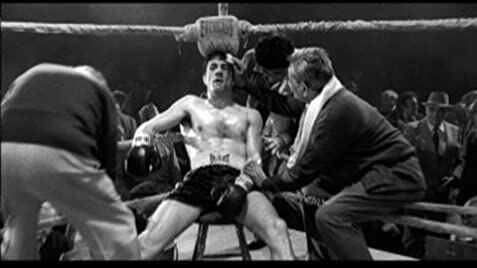 "Raging Bull", directed by Martin Scorsese and starring Robert deNiro in the brilliant performance that ensured him a well deserved Academy Award, is a raw feature film that will have you stunned at its conclusion and leave you reeling in your theatre, couch or bed until the final credit has finished rolling off the screen. The film, adapted from another source, revolves around the rise and fall of Jake LaMotta (deNiro), an ambitious middle weight fighter who has struggled for years along with his manager brother (an unforgettable Joe Pesci) to get a shot at the title for the middle weight champion of the world. Frustrated with himself and the life that he's had to lead, LaMotta presents the complex mind of a self destructive man who's inhumanity and self-destructive nature push him away from all the people in the world that love him and ultimately transform him from a prize fighter into an overweight sleaze with nothing but the clothes on his back. 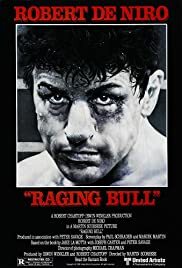 From the flawless and gripping boxing scenes to the raw yet accurate portrayal of his abusive habits towards both his brother and wife, "Raging Bull" succeeds on absolutely every level. DeNiro's performance in the film is unquestionably his finest piece of work in his own personal career, if not throughout the history of cinema altogether. Completely believable as a boxer, he furthermore went on a diet to put on 60 pounds for his scenes situated in the latter half of the film when he has hit rock bottom which is testament to both his dedication and his unparalleled skill of establishing a believable character. Joe Pesci is absolutely brilliant as his portrayal of Jake's brother, Joey LaMotta, and considering the fact that was one of his first feature films in the spotlight, he completely delivers a character who loves his brother unquestionably but who also has internal struggles regarding his own nature and his methods of dealing with his brother. I fell in love with Joe Pesci due to his performance here, and he is clearly one of the more talented and gifted actors within Hollywood. Scorsese is also in top form, and you can feel his presence, his brilliance and his uncompromising dedication to showing you the real life and times of Jake LaMotta in every single piece of footage presented to you on the screen. Martin Scorsese illustrates the reason why he is considered by many to be cinema's greatest film director of all time as he takes you on a journey of Jake LaMotta's personal and public existence. Scorsese doesn't leave anything out, and his brilliance obviously lies within the fact that he can illustrate everything about a character in the simplest of scenes to make you empathise but simultaneously make you comprehend the various fundamental layers of such a despicable character in cinema history. 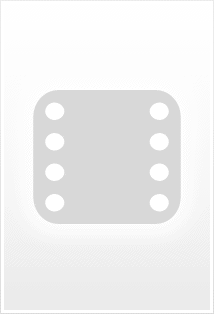 And on top of that, he can make you like the character and hate the character at the exact same time - a brilliance unprecedented throughout Hollywood and surely testament to Scorsese's superiority to directors such as Steven Spielberg and Clint Eastwood who, despite having tremendous talent, cannot realistically present characters to the extent that Scorsese can. Further supporting cast members, Cathy Moriarty and Frank Vincent deliver completely credible characters with Moriarty well deserving of her Oscar Nomination for her performance as Vickie. The editing was completely flawless and top notch throughout the entire feature with Scorsese's other partner - Thelma Schoonmaker - bringing Scorsese's incredible vision to life once more without a single complaint in the world. Brilliant cinematography ensured a visually compelling piece of work, exemplified further by an Oscar Nod towards this element of the picture also. All in all, this is arguably the finest achievement from the Scorsese-DeNiro partnership, and it delivers everything that you would predict from our beloved Martin Scorsese. Love, deceit, hate, an underlying theme of violence, some of the best acting ever put on film as well as some of the most brutal and compelling sequences of boxing you'll ever see: all are shown with flamboyance and an honest brutality that we've come to accept as the trademark of Martin Scorsese in this poignant tale of one man's annihilation of self. And who is the only director who could realistically bring this to life? We all know the answer. Well done, Mr Scorsese. 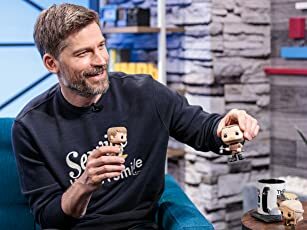 Regardless of what the pretentious fools responsible for the decisions that the Academy makes, the people are fully aware of who the best director in town is. "Raging Bull" is flawless and perfect. 10 out of 10, all the way.